On May 26 a package was delivered to the mail reception area for Derek Garton in Unit 22. He has reported the package missing or stolen. It is our hope that it was taken from the lobby in error and will be returned. This entry was posted in Community Notices on May 31, 2016 by Jefferson. Our handsome gate securing the trash area has been completed and keyed to the locks at the main entrances of the building. Please take care to close the gate behind you when leaving. It is our hope that by securing the area it will remain tidy and there will be less noise for the residents living above. Bushes and trees next to the building and on the parking strips will be trimmed by grounds maintenance crew and arbor care specialists in June. Parking strips will be upgraded to include more step-off hard surface. Some of the plants currently in this area will be transplanted to barren areas adjacent to the building. Make sure your window unit is installed properly and securely. Manufacturers recommend removing, maintaining, and storing units for the winter. Please do not leave trash, unwanted furniture, or other belongs in common areas of the building and basement. There is a Goodwill several blocks west on Sandy.Kindly deposit all trash and recyclables allowed by the city in the bins in the gated and locked enclosure outside the building. The collection service will not pick up glass if other trash is in the bin. Please report theft to the Portland Police Department. More news and information! Visit the community bulletin board to join the forum and post events! Installation of the garbage area gate has been delayed until Monday. The lock will most likely be fitted later in the week. This entry was posted in Community Notices on May 13, 2016 by Jefferson. On Friday May 13, West Meyer Fence will be on site to install a locking gate on our garbage area. The lock will be fitted to your front door key, so you won’t need an additional key to open the gate. It is our hope that this gate will make our trash area more secure and tidy. Please make sure the gate is locked at all times. On Monday May 16, Atiyeh Brothers will be here to clean the hallway carpets, so you may hear some noise from their equipment throughout the day, and if you have a welcome mat outside your door you may want to bring it inside your unit for the day. Contact Troy at Superior Community Management (503-684-1832 or troy@superiorcommunity.com) if you have any questions. This entry was posted in Community Notices on May 12, 2016 by Jefferson. Due to lock and key issues, the glass recycling bins have been unlocked for several weeks. This experiment is not going well. We believe that passers-by are depositing general trash into the bins spoiling them for pick up. Our trash service will not pick up glass that is mixed with other trash. We are working toward a long term solution to secure the entire trash area but in the meantime, we ask that you, kind resident, be vigilant. This entry was posted in Community Notices on February 5, 2016 by Jefferson. 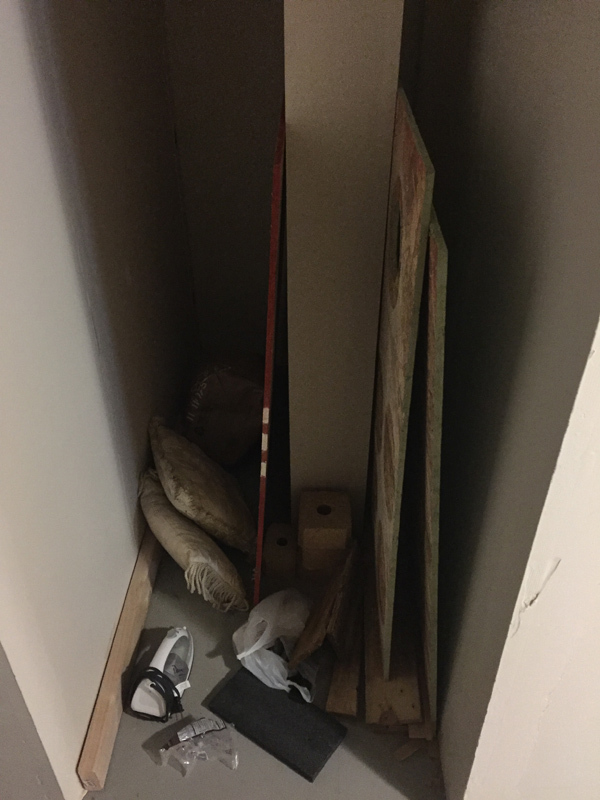 There is a small pile of personal items in the basement, in the space between the storage units for #26 and #27. The items include some pillows, an iron, a dented window screen, and a few scraps of wood. They have been there for quite some time, and we suspect that they were left behind by a previous renter, although the screen is a recent addition to the pile. However, if these items are yours, please remove them immediately, as personal items may not be stored in the basement outside of designated storage units, or bicycles in the bicycle room. These items will be thrown away if they are not removed within the next 14 days (January 20). In general, please do not leave trash or unwanted items in the common areas of the basement. Thank you for helping to keep our building clean and tidy! This entry was posted in Community Notices on January 6, 2016 by Jefferson. Due to the heavy rains today (October 31) we are experiencing some flooding in the basement bike room at the Chasselton. So far the flooding is confined to the bike room, and not in the area of the storage lockers, and appears to be the result of the room’s boarded-up window well filling with water. Superior Community Management has been made aware of the problem and they are working on getting someone out to deal with it as soon as possible. This entry was posted in Community Notices on October 31, 2015 by Jefferson. Please make certain the entrance doors are completely closed and locked behind you coming and going. The south entrance is especially problematic—push the panic bar behind you to ensure closure. The garbage disposals installed in the units are great for clearing your drain of small food scraps only. The plumbing in this building is not meant to carry quantities of food waste. When using the disposal make sure to run plenty of cold water. Please do not leave trash, any unwanted furniture, or other belongs in the common areas of the building and basement. There is a Goodwill several blocks west on Sandy. Kindly deposit all trash and recyclables allowed by the city in the bins outside the building. All residents should possess and USE a key to unlock the glass recycling bin. Please do not leave glass outside of the bin. Packages delivered at the front entrance or interior common areas are at risk for theft. This entry was posted in Community Notices on October 15, 2015 by Jefferson. The BASEMENT will be thoroughly cleaned on Thursday of this week. Please make sure all personal items are removed from common areas and stored in assigned storage areas. The bike racks have been reinstalled and bikes must now be stored in the designated area. The ENTRY DOORS have not been closing properly. We are working toward a permanent solution to this problem. In the meantime, we ask that you make sure the doors are closed and secured behind you when entering and leaving the building. Windows are open this time of year so please be aware of your proximity to the building and directional air flow when SMOKING outside. This entry was posted in Community Notices on August 11, 2015 by Jefferson.